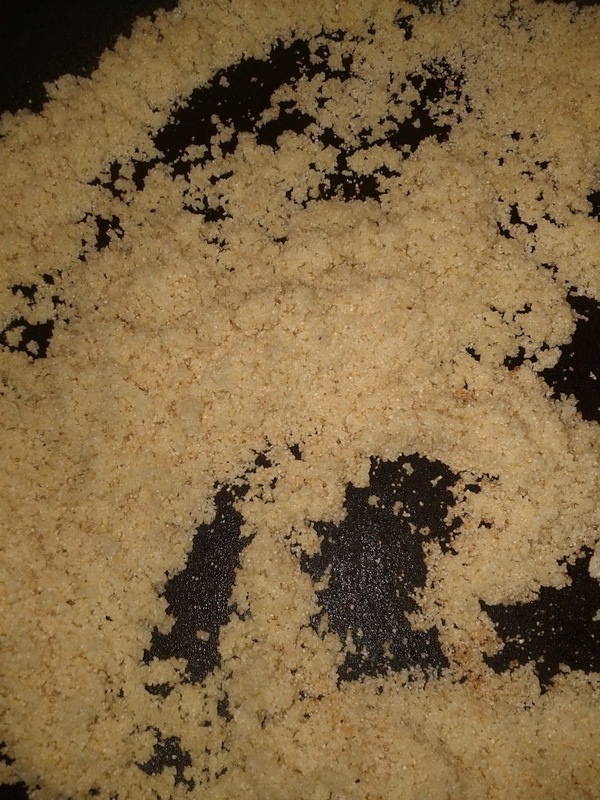 Prasadacha sheera, also know as Satyanarayanach prasad.Yummy & super quick to make, its Mr.N's favourite. Melt the ghee in a medium sized pan, add the semolina & roast till it gets a nice pink color. Roast on medium heat. 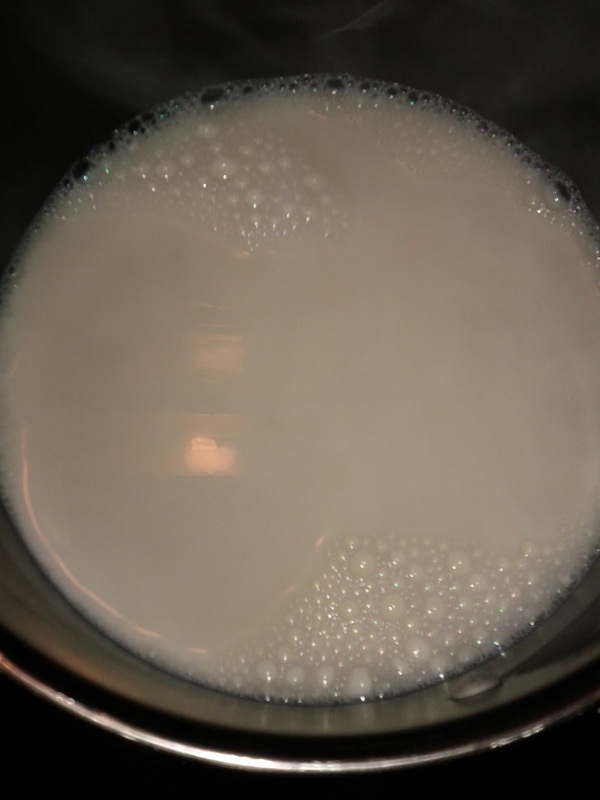 Simultaneously boil the milk in a thick bottomed pot & take it off the heat once its boiled. Peel & roughly slice the banana, add to the semolina & mix well. Next add the milk & mix everything well. Very imp the ilk or water is warm, if you use cold milk or water the semolina will go sticky & becomes hard. Also add the cardamom powder & almonds at this stage. its imp to add the cardamom powder later or it will loose its flavor if added to a hot mixture. 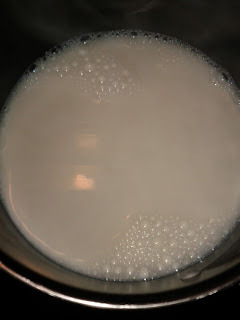 Cook till all the milk is absorbed by the semolina. Then add the sugar & mix well again. The mixture will become runny, but it will solidify once the sugar is absorbed. 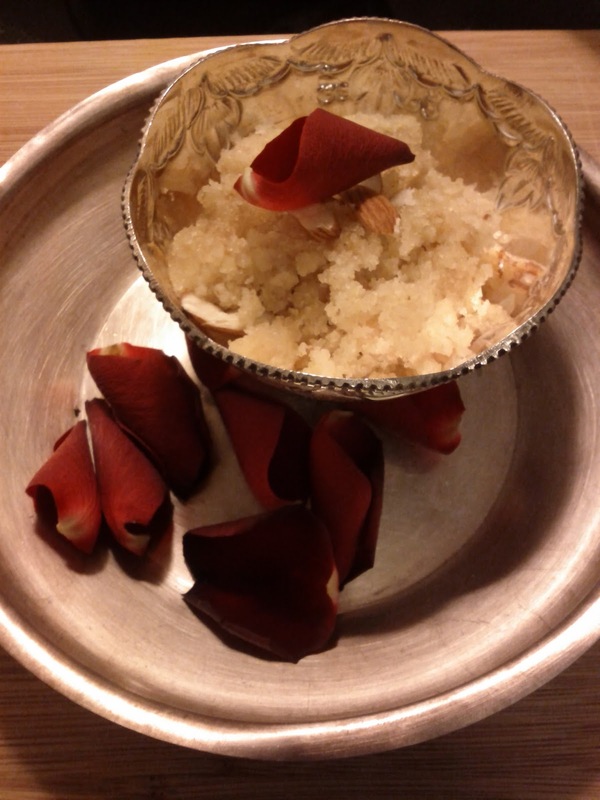 Cover & let the sheera cook for 5 mins, make sure all the steam is captured inside the lid. Turn off the heat & it can be served hot or cold, with some mango pickle. this is traditionally made during festivals as an offering to the Gods & the priests. Also served in small bowls to all your guests who visit you. Its the best prasad ever, and I remember looking forward to it when ever we would attend a function or satyanarayan puja.